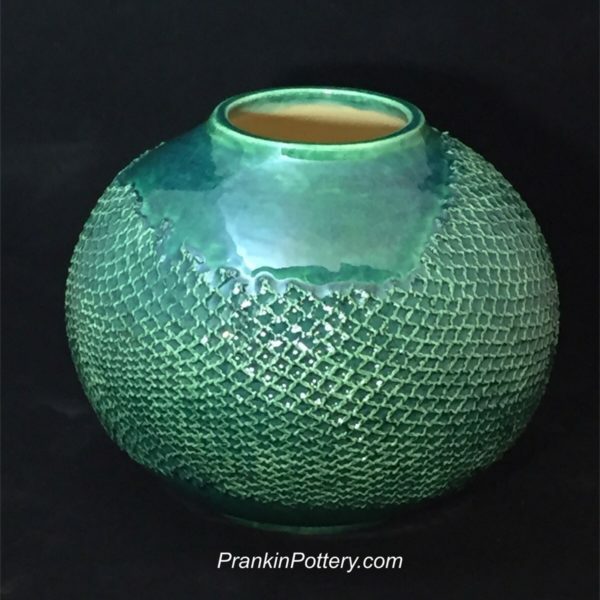 The fabric is dipped in slip, or wet clay, and applied randomly around the pot. It then burns off in the kiln, leaving the slip texture. 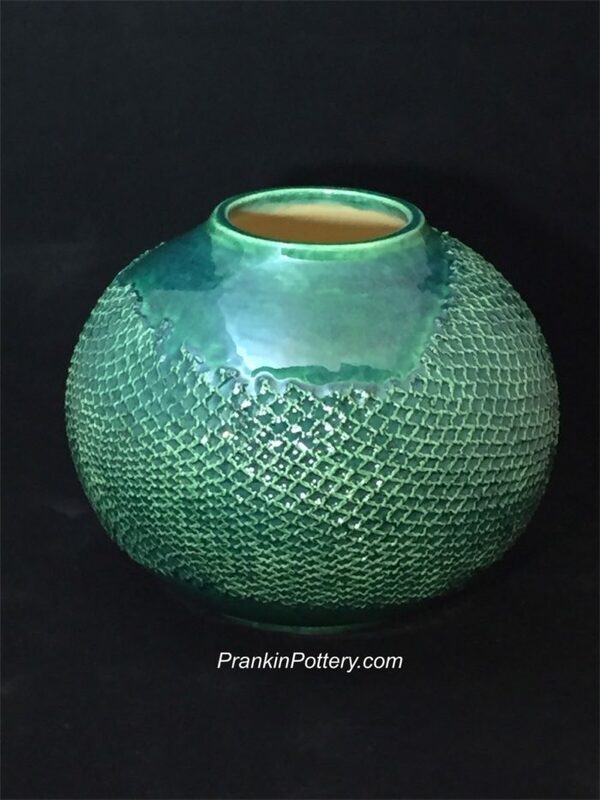 The dark green glaze seals in the look and feel of the texture.